Patrick Gusman is a versatile international corporate and nonprofit executive and serial innovator. He currently is the president and managing director of the Equal Footing Foundation and managing director of Social Sector Innovations’ Startup Middle School, a pilot program that trains and develops a sustainable pipeline of early-stage masters of disruptive technologies from underrepresented backgrounds at the Howard University Middle School of Mathematics and Science (MS)2. Prior to his work with the Equal Footing Foundation and Social Sector Innovations, he was the Executive Director of the TechNet Foundation, Inc. (ConvergeUS) and Chief innovation Officer at the National Urban League. At ConvergeUS he helped give birth to a series of social innovation including MyMilitaryLife. In his work at the National Urban League, Gusman managed strategic planning and was responsible for introducing a groundbreaking social media effort, www.iamempowered.com. 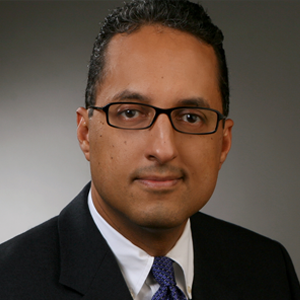 Earlier in his career, Gusman was an in-house counsel for Chrysler Financial Corporation and then created and managed Chryslers French subsidiary in Paris, France and led corporate departments and major strategic projects for the DaimlerChrysler Group in Europe and Africa. He also worked at the law firm of Lemle & Kelleher in New Orleans. Gusman received a J.D. from Georgetown University Law Center and a Bachelor of Business Administration degree in Finance and a concentration in French from the University of Notre Dame. He serves on the board of the Kenya Village North Project. He and his wife Jill Roberts are the proud parents of three bi-lingual children.